Ergens op het kruispunt van presidentiële geschiedenis en Amerikaanse mythologie blijft de JFK-moord de bezoekers van Dallas fascineren. 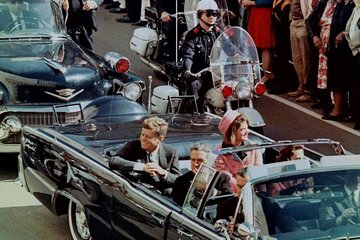 Zie de site waar de beruchte schietpartij plaatsvond op deze speciale historische tour naar Grassy Knoll en het Kennedy Memorial; scheid de feiten van de theorieën met de hulp van je gids, die je die dag en de nasleep ervan doorloopt. Deze tour bevat een gids, entrees en vervoer heen en terug. This tour was a wonderful, informative, and entertaining experience. Johnny, my tour guide was excellent in giving details on the events leading up to the assassination, the numerous conspiracy theories, showing us where Oswald lived, where he was captured, and taking us down the fateful path. Also, he gave us a historical perspective of the city of Dallas. If I did another tour, I would want Johnny to be my tour guide. He was simply the best. Danny Evans made this tour "come alive" with his enthusiasm and vast knowledge on the subject. In addition, he was prompt, polite, and seemed to enjoy guiding us through this tragedy. We were in high school in Nov. 22, so experienced and remember many of the events via TV. Thank you Danny! The tour was interesting and we liked to see all the important parts of the day. However, the driver ruined this trip for my family. First he showed up late and he did not seem interested in having conversations with anyone but the three people who arrived with him at the Kennedy Memorial. My mother is handicapped and unable to walk long distances. To see the grassy knoll he parked by the Kennedy Memorial and we had to walk. That is too far of a distance for her. She had to sit in on a bench in the heat with nothing to drink for over an hour! Then when we arrived at the 6th Floor Museum he received a call and said it was the end of the tour and would not take us back to cars. Once again, a very big inconvenience for someone who his handicapped. It was an awful experience and an embarrassing one for my mother as it was obvious she was left out. We are very upset we were unable to enjoy what could have been a good tour. It was very frustrating and uncomfortable situation. Excellent tour. Pickup at both ends was on time. The guide was very knowledgeable and had an insight that you don't get from history books, movies or conspiracy theories. Money well spent. The tour guide was excellent and very passionate about JFK Assassination. We were able to get out and take pictures at several locations. We were very pleased that we were taken to Oswald's boarding house, the theatre which we probably would not have done on our own. I highly recommend this tour. Enjoyed ourselves very much! This was a great tour. Our guide Alex really knew everything about JFK and what happened. If you would like to have a guided tour with a lot of information and a guide who you can feel lives for the story. You should definitely book this one. Disappointed. Had huge expectations of this tour but the driver who picked us up just parked the minibus outside the book depository and gave as a running commentary of events before realising he had forgotten to collect another couple. 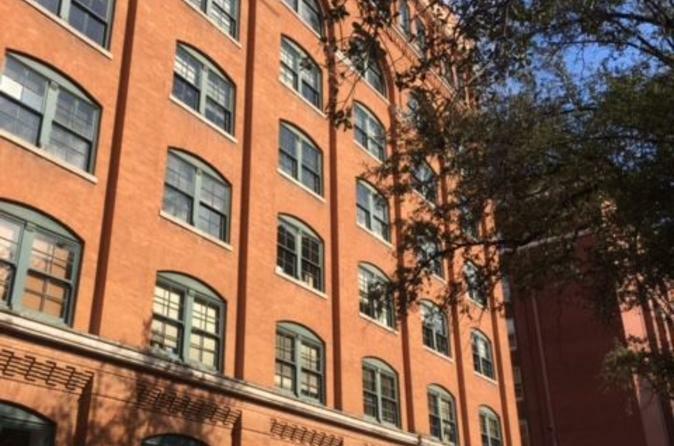 Then we had a recap of all we had already been told to allow other tourists to get up to speed all whilst sitting outside the book depository. Then a whistle stop tour round to see where Lee Harvey Oswald lived having to ask if we could get out of minibus to take photos before then being driven to the theatre where we parked on the opposite side of the road for a quick photo stop before being driven back to the book depository to wander round at will. This was an amazing experience. Our guide, David was extremely personable and knowledgable. Despite sticking to the facts he was very open to other thoughts, ideas and theories. We saw and stopped at the most important sites including, the book depository, the grassy knoll where JFK was shot, the spot where Officer Tippit was allegedly shot, the movie theatre where Oswald was apprehended and he showed us the building where in the basement Jack Ruby fired the shots that killed Oswald. David gave us clear explanations of the facts and even showed us pictures. His van was comfortable and clean. The Dealy Museum was extremely well narrated with awesome pictures and films. Outstanding tour and insight. Highly recommend this. Johnny was brilliant, engaging and informative. The tour added depth to the museum by bringing the events of the day into an embodied present. excellent way of seeing, feeling and understanding.